From jumping into sprinkle filled swimming pools at the Museum of Ice Cream, to stepping inside Stanley Kubrick’s Space Odyssey at the 14th Factory, 2017 has been the year for immersive exhibitions. Cultural explorers are pushing visitor attractions beyond ‘stand and observe’, to being part of the exhibition itself. 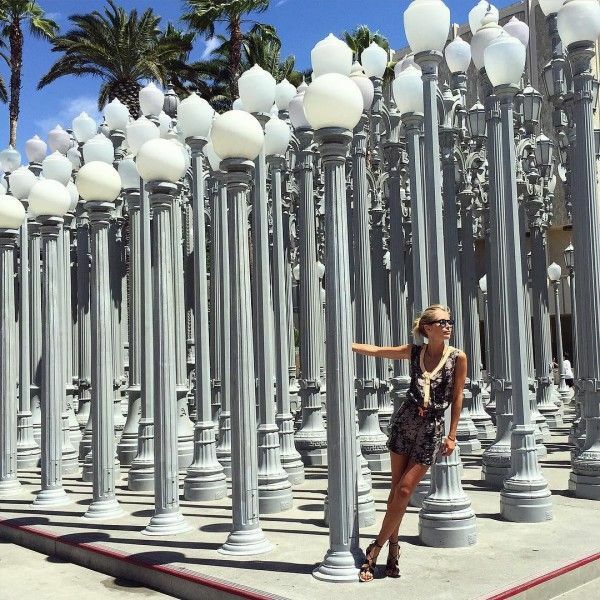 Take a look at the Instagram tags for the LACMA museum in Los Angeles and you’ll see bloggers posing amongst the Urban Light installation (yes, THAT lamppost shot) or reenacting Drake’s Hotline Bling video in James Turrell’s Breathing Light exhibition. Need further proof? How about half a million tags from Yayoi Kusama’s ‘Infinity Mirror’ exhibition. Pure Instagram gold – a lasting souvenir from their 30 second timed slot, and more coveted than a gift shop keyring. So, when we set out to create the brewing floor at the Guinness Storehouse, the second of LOVE’s makeovers at the Storehouse (see what we created on the advertising floor here), we knew balancing big, immersive moments with deep storytelling was the way to go. Guinness isn’t just about beer, it’s about being made of more. Bringing people together in celebration of its processes and iconic origins. The Guinness Storehouse is a celebration of all these things, which is why it’s been voted Europe’s number 1 visitor attraction. The Brewing Floor allows visitors to immerse themselves in the brewing process, ingredients, and story behind the iconic black and white stout, Guinness Draught. We sought to create an experience suitable for a wide variety of visitors: fun and interactive for the beer novice, with depth and discoverable facts and figures for beer aficionados. The exhibit uses a combination of spacial and lighting design, immersive and interactive experiences, along with new film footage and photography to deliver a unique storytelling space. With over a million visitors a year, pace and intuitive wayfinding were two functional considerations we baked into the design of the space - encouraging maximum throughput to process large volumes of people without bunching. Taking a tour through the newly opened brewing floor, we borrowed language from immersive exhibitions to balance light, temperature and atmospherics. Key elements associated with the brewing process were integral to the design: the blistering 232 degree heat of the roasting process; the milling, boiling, mashing and fermentation stages; the importance of hops; the closely guarded secret of the strain of yeast used in Guinness; quality control and the precision of the daily 10am taste testers. Each pint of Guinness contains 30 million bubbles to give Guinness its velvety, smooth texture - to bring this to life, LOVE created an immersive ‘be the bubble’ experience. Visitors find themselves in a room filled with thousands of bubbles - an effect created using a specially developed system of 2 way mirrors and specialist lighting - just one of our Instagram moments. As a trend we’re seeing more and more brands experimenting with their approach to ‘phigital’ – the blending of the physical and digital worlds. VR usually plays the default role here, however, with technology developing at such a pace - quickly becoming outmoded, and with clunky usability (who really wants to walk around with a big snorkel mask on?) - we see the future in empowering visitors to use the technology in their pockets. With the launch of the iPhone X, we’re gearing up to create physical experiences that pair up with the devices visitors already use as an extension of themselves. Technology is a powerful tool to elevate visitor experiences, but only when it enhances, rather than disrupts the journey – something we, at LOVE, are very passionate about. “Guinness is one of the world’s truly iconic brands - and the Guinness Storehouse is one of Europe’s most popular tourist attractions. Getting to understand how unique the Guinness brewing process truly is - and being able to create a memorable and immersive experience to bring it to life - was a real privilege”. Dave Palmer, ECD and founder of LOVE. To see the full Guinness Storehouse Brewing Experience case study, click HERE. The second of our ‘next level visitor experiences’ is from LEGO. Yesterday they celebrated the opening of their LEGO HOUSE in Billund, Denmark. The 12,000 sqm superstructure is made up of huge interlocking LEGO bricks that form spaces for exploration and exhibition for its visitors within. LEGO is one of the most beautifully analogue play-moments we still hold dear, and whilst the simplicity of the block is celebrated across each floor, visitors will also be invited to use technology to build their own LEGO fish, scan it and release it into a huge digital aquarium. To celebrate the launch of the attraction - expected to draw over 250,000 guests each year - LEGO have released a 774-piece, 197-step model set of its new LEGO House. The set will be sold exclusively at the Lego House, but 600 AFOLs – Adult Fans of Lego – will have a chance to snap up the kit on early release. We can’t wait to visit this space – a celebration of LEGO’s past, present, and future self. The final of our ‘next level visitor experiences’ comes from Refinery29. They have taken their mantra of ‘creating a world in which women feel, see and claim their power’ beyond their digital and social platforms, and into the physical space. The immersive exhibition, now in its third year, celebrates Refinery29’s audience of young women, the brands that cater to them, and the creatives that speak to them. 20,000 people passed through the four day event, which took place during New York Fashion Week and centred around the theme of ‘Turn It Into Art’. Housed in a former warehouse in Williamsburg, visitors explored the highly interactive 29 rooms. Refinery29 partnered with several brands, giving them a platform to let their products and identities shine in creative ways. There were some straightforward exhibits, like a mural from Casper, which contained 150 pillows for people to play on and pose for photos. On the more expansive side, Juicy Couture’s Glacé Getaway allowed visitors to imagine a vacation in the tropics with a large snow globe in the middle of the room - making them part of the souvenir. Dunkin’ Donuts also gave guests the opportunity to try out newly created coffee flavours and vote for a favourite to determine what will be the next Dunkin’ Donuts Bakery Series release. “29Rooms has set the bar for a new era of live social storytelling, and this is our most ambitious event to date. In our increasingly plugged-in world, people crave unique experiences that engage them IRL while simultaneously fuelling content creation for their digital lives,” said Refinery29 co-founder and Executive Creative Director, Piera Gelardi. The most popular rooms of the evening combined interactivity with great photo opps. RuPaul’s fantastical wig room kept visitors busy – Instagramming, snapping and tweeting. Heavily branded rooms tended not to be quite as popular, perhaps because the crowd in attendance had already had too many products pushed at them - even just a few days into fashion week. All of these exhibits emphasised creativity and curiosity. Perhaps most importantly of all, the whole exhibition was a chance for subscribers of Refinery29 to engage with the brand, it’s contributors, and other fanatics IRL. To see more of our physical experiences head over to our website, or click HERE to see the full Johnnie Walker House case study. SEEN is compiled by LOVE’s Head of Culture, Kat Towers. Want to say hello, ask questions or challenge her cultural knowledge then get in touch kattowers@lovecreative.com.